Parents are supposed to teach their kids all sorts of things. In that spirit, my husband and I have managed to teach our kids tons of useful stuff. For example, both of them know not to even blink around angel statues, Dr. Who style. They know how to use The Force properly. In a pinch, they can play a mean game of UNO. One of them is Hufflepuff and Dauntless while the other is Gryffindor and Amity. They are learning the words to the song American Pie. Okay, some of these things also cause awkwardness, with the Chevy and the levee and the whiskey and rye. In my defense, they don't know what whiskey or rye means. The point is that some lessons are worth teaching. Using a planner is one of those lessons. If you want your kids to love planning like you do and to enjoy all the blessings that come with planning, take some steps to introduce them to using planners now. 1. Let them pick out their planners. 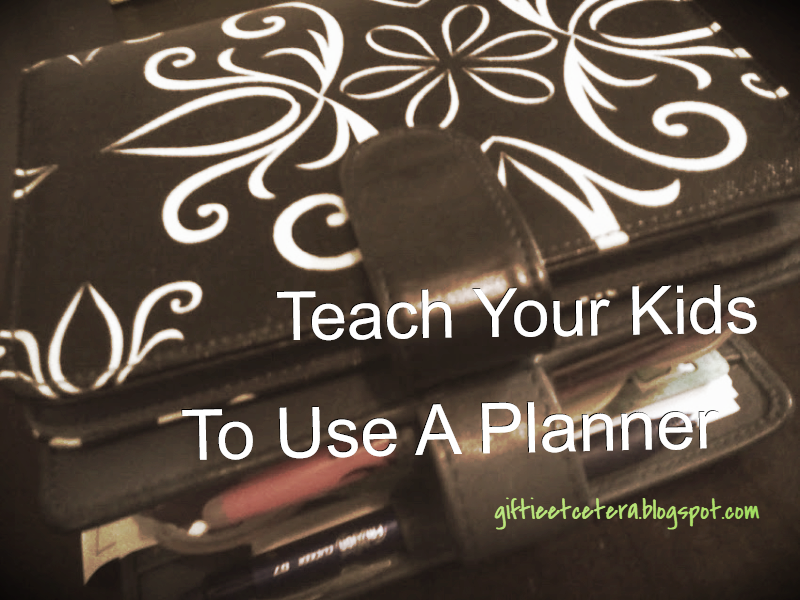 Give the kids a budget and let them pick out a cheap, but fun planner. If they pick it out, they will take ownership of it. If you pick it out, it'll be a chore. Have a time, once a day, when you sit with your kids and your planners. Maybe it is over cocoa or right before bed time, but sit together and plan. Talk about what is on tomorrow's agenda. Ask what they want to achieve tomorrow. Decide if there is going to be a sleepover this weekend, and let them write that down. 3. Give them freedom to plan in their styles. But it is their plan, not yours. Let them enjoy it. The first day, it is exciting. The first week, it's bonding. The first month, it is almost doable. The second month, it's torture for Mom and Dad. But planning is a lifetime skill. It's worth investing in. Keep teaching them. Remind them to write down the information from a party invitation. Have them put chores on their task list. Teach them how to make a budget and track their allowance. Encourage wish lists and idea lists and doodling. 5. Give the planner a home. Help your kids decide where the planner will live. A nice box or tray, a backpack, or a purse works. The important part is that the planner is special enough to merit a home. Give your kids the gift of planning. They will thank you later. Both of my kids mock me relentlessly for my planner obsession. I remember my mom and her planner, and wanting one of my own. And then I got a cheap one, and loved the thing - I knew what was *supposed* to be in it, and never knew you could put things in there that weren't what the pages already had on them! Now, as an adult, though, I really wish my mom had thought of more ways to use a planner, ha!